The conditions this weekend haven't exactly been ideal for taking pictures with lots of cloudy grey skies but all seems good with the loons. Eating is a main focus of the loon chicks these days. They're definitely starting to grow quickly on us with their faces getting a little longer and both of them hardly able to fit on a parent's back without the other falling off. And we have a second chick! At some point last night or early this morning our second loon chick hatched. 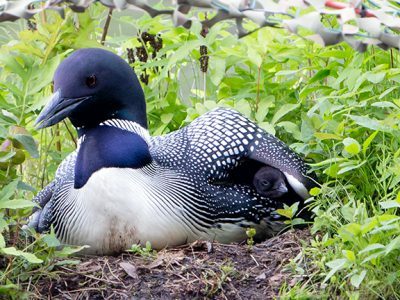 This second loon is named Proud John. 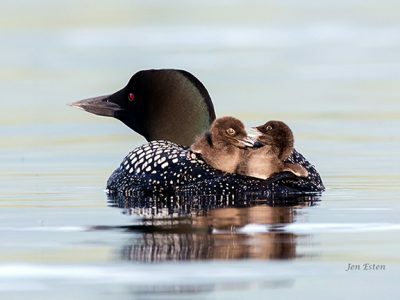 Everything seems to be great with the loon family. 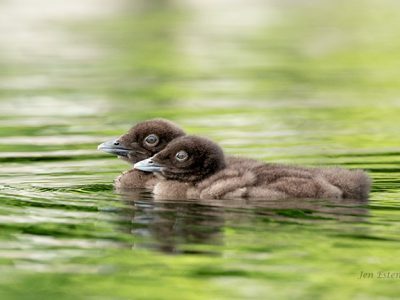 The loons are officially out on the lake and swimming around now, so if you're boating please take great care at the Turtle Cove / Slope n Shore end of the lake. 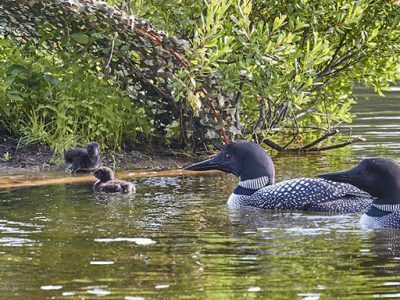 We couldn't be happier to welcome our first loon chick of 2018 to Pleasant Lake on Father's Day. We expect another egg to hatch in the very near future. 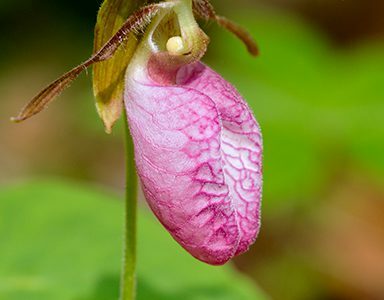 We can't thank Jen Esten enough for sharing her beautiful photographs that let all of us experience this. John Wilson was given naming rights this year. We're glad to report that all is well on the loon raft everything seems to be progressing along just like it should. The loons proved to be difficult to shoot again this week up close so I figured that I could at least take a long shot so people can get a better feel for the area where the loons are. First of all, great thanks to all for the kind emails that you sent in after the last update. It's truly heartwarming to see how deeply folks care about these emails and the sense of connection they bring to so many from all over the place!